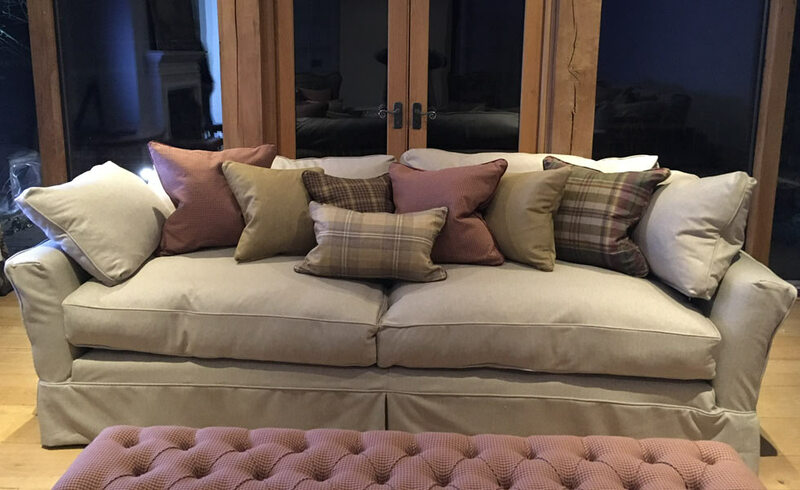 All of our made to measure curtains are hand made to order using the finest quality fabrics, lined, hand stitched and weighted for the perfect finish. 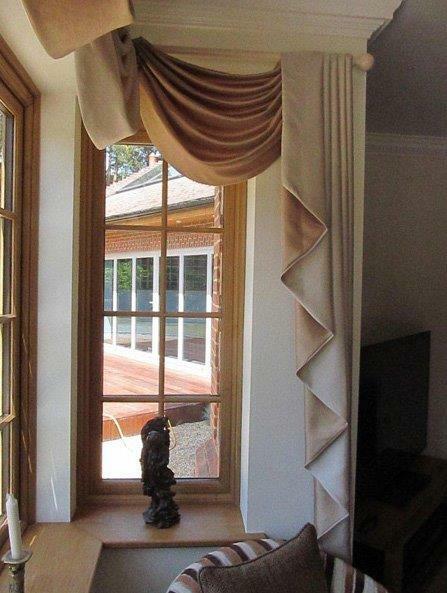 We also undertake swags and tails, valances, bed valances, table runners, pelmet boards, voiles and much more. We also offer our fitting, steaming and dressing service to achieve the perfect finished look. Once fitted we steam at your premises, this will ensure the curtains stack neatly in their pleats. After completing the dressing of your curtains we will leave your home clean and tidy. So whether you are looking for made to measure curtains or you have an idea for soft furnishings you would like designing, please do not hesitate to contact us or pay us a visit. 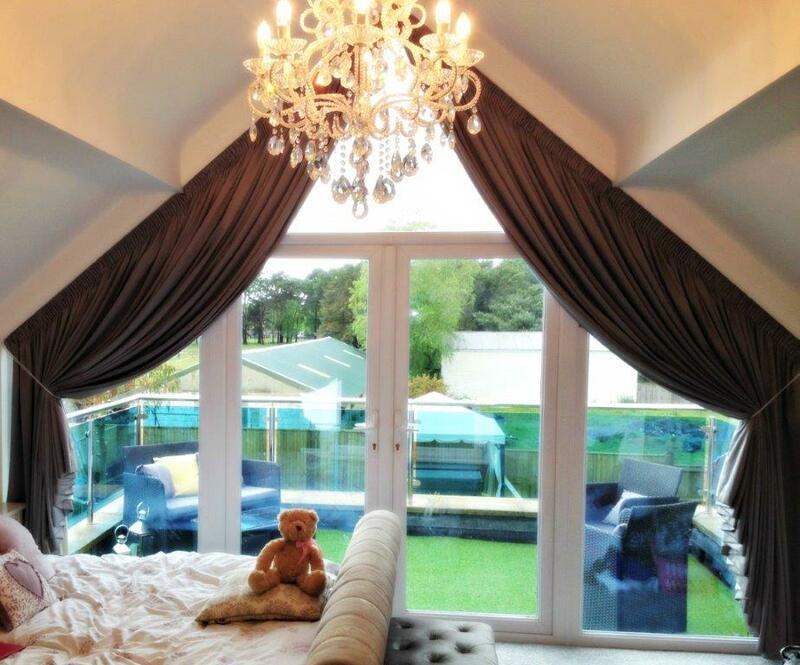 Have you got an odd shaped or very large window? There are no jobs that we can’t handle this includes awkward shaped or positioned windows, or high jobs such as skylights. We can cater for all window shapes and sizes and advise on what curtains or blinds would work best for each individual situation. So please get in touch with us to discuss your requirements.